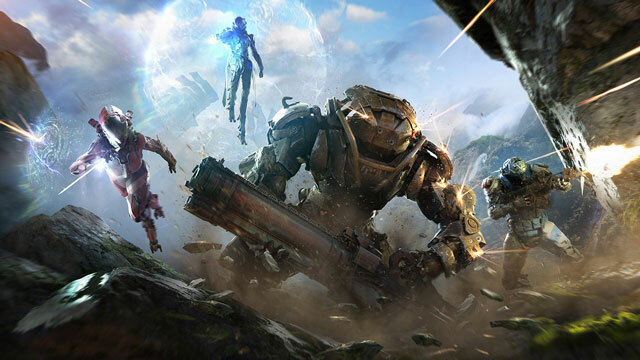 EA is offering players access to Closed Alpha testing of Anthem. Registrations are now open, and they’ll be open until December 3rd. The actual Closed Alpha will take place across several sessions, spread across two days in early December. There will, of course, be certain stringent limitations when it comes to sharing your experience. So, first of all, when is the Closed Alpha testing going to take place? Well, according to EA’s help post, the sessions are going to happen next weekend, on December 8th and 9th. I say sessions, because the post also states that there will be “multiple sessions across the two days.” You can take part in as many of them as you like, but you can only sign up to play on one platform. Speaking of, you’ll have the chance to play the Closed Alpha on PC, PS4, or Xbox One. If you want to participate in the Closed Alpha, you’ll first have to sign up for it. You can do so by clicking this link. Just follow the instructions from there, it’s not difficult. Now, one important thing to keep in mind: signing up does not mean that you’ll get guaranteed access to the Alpha testing. The whole thing will be on a first come, first served basis. In case you try to get into a session, and it’s full, you can still sign up for a waiting list, that much is true. However, this is also no guarantee that you’ll get in. On the plus side, it seems everyone has a chance to join in on the fun; no need to have a preorder or anything (hello, Fallout 76). Now, there are a few catches to the whole thing. Among them is the fact that anybody that participates in the Closed Alpha will be under a strict NDA. You basically won’t be able to share anything of the experience publicly. For more details, check out the EA help link provided above. Anthem, as a full game, is coming out on February 22nd, 2019, on PC, Xbox One, or PlayStation 4.